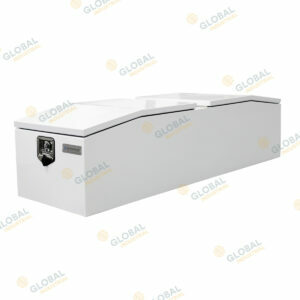 The Global 600mm under body truck box provides an option for Trucks when the 1000mm boxes will not fit. 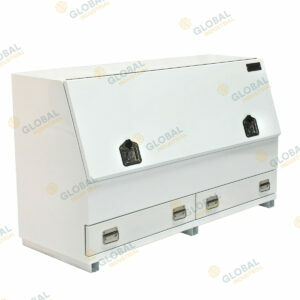 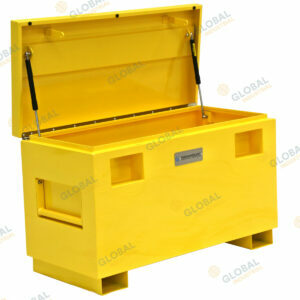 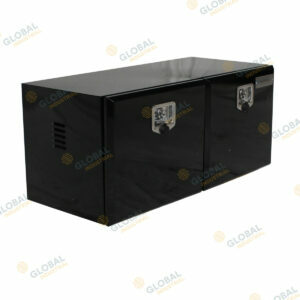 It provides space for tools, chains, straps and other lashing equipment in an easy compartment. 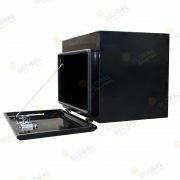 It is made from 1.5mm steel and comes in a black powder coated finish. 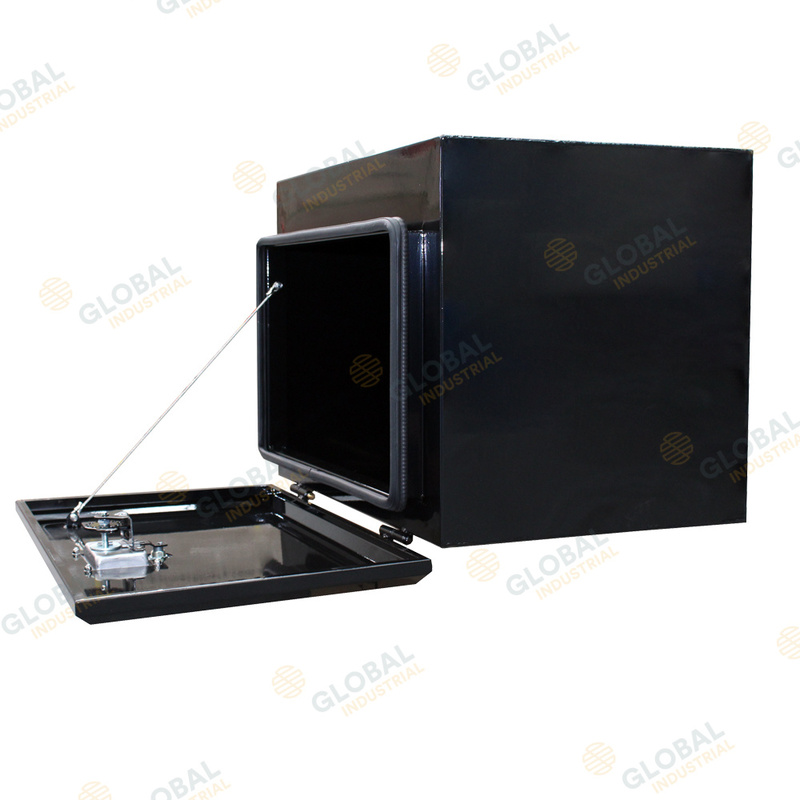 The lid itself is hinged with heavy duty hinges and is retained from falling all the way open with stainless steel wire ropes. 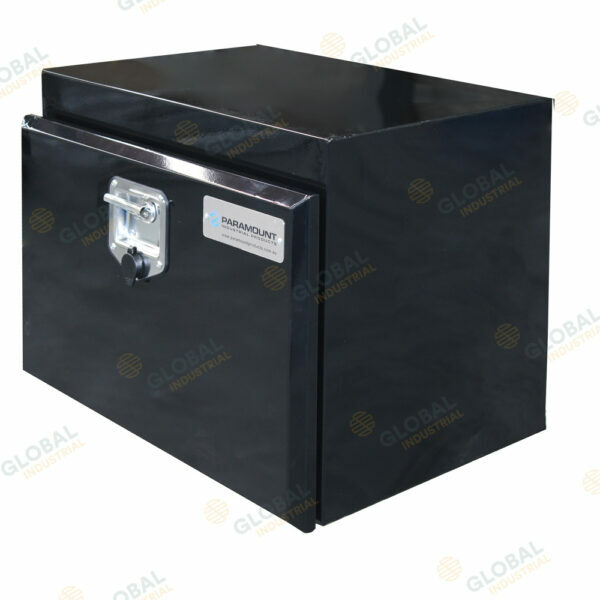 The door is lockable with a stainless steel T-Handle lock.